WELCOME TO SCITUATE ART FESTIVAL 2019! Our website contains lots of detailed information for both visitors and prospective participants alike. 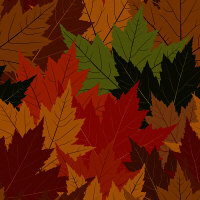 Please follow the quick links listed below for current information on your areas of interest. If, after reading the facts provided, you still have a question, feel free to contact us via email. Thanks! For details on the 2019 show, please follow the appropriate links in the banner at the very top of this page. 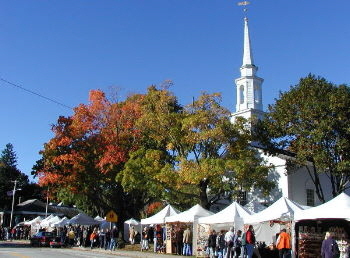 The Scituate Art Festival, in its 53rd year, is a favorite Rhode Island tradition over the Columbus Day weekend. We feature 200 juried art and craft exhibitors, select antique vendors, a food court offering regional specialties, live musical entertainment and a huge art/craft/antique raffle. We are proud to have been recognized eight times as 'Best Annual Arts/Crafts Festival Statewide' by the readers of 'Rhode Island Monthly Magazine'. This annual event began in 1967 as a means of raising funds to restore the 1830's era former Congregational Church which is located at the center of the festival grounds. Starting with just twelve local exhibitors that first year, this well-established and much-anticipated event now draws over two hundred exhibitors from across the United States and Canada as well as estimates of 100,000 visitors over the 3-day weekend. The proceeds of the festival support the continued maintenance of the Congregational Church building and provide grants to a variety of nonprofit organizations within the town. CLICK HERE to see before & after photos of the project. 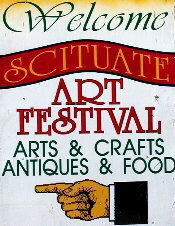 Experience the Scituate Art Festival just once and you will be sure to return year after year! © Copyright 2001-2019 Scituate Art Festival, Inc. All rights reserved.